A two bedroom flat on the courtyard level of the Pimlico Place development. 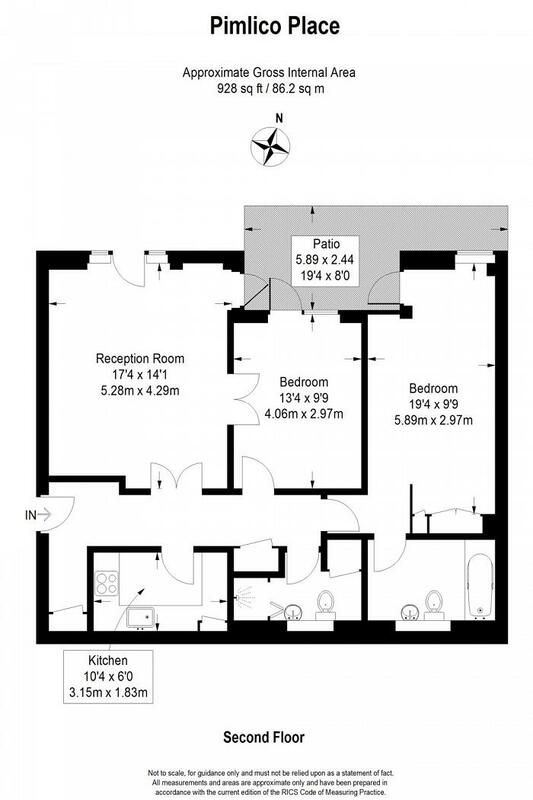 The flat has two double bedrooms, two bathrooms, a large bright reception room and separate kitchen as well as a private patio which can accommodate a table and chairs. The flat is in fantastic condition throughout and the seller would be open to a negotiation to include the furniture and appliances. Pimlico Place is a very popular modern development close to Victoria station and includes a porter, gym and private parking.